1. Boil the yam pieces in a pressure cooker for 1 or 2 whistles. 2. Remove and then mash well. 3. Add salt, ginger garlic paste, red chilli powder and gram flour. 5. 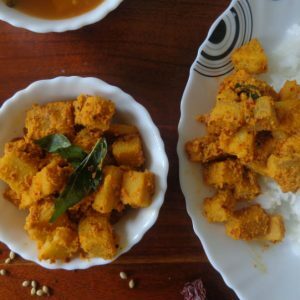 Shape the mixture into small tikkis. 6. Heat oil in a pan. 7. Fry the tikkis on both sides till golden brown. 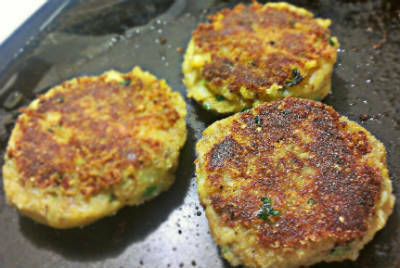 Feel free to comment or share your thoughts on this Senai Kizhangu (Elephant Yam) Tikki Recipe from Awesome Cuisine.